As we near the end of the 2017-18 Pure Witness year, we are excited to announce some BIG CHANGES happening within the ministry as we move forward! Recently we were notified that our lease for our Pure Witness missionary house and office at Blackstrap Lake was not going to be renewed in July. This was the catalyst for the staff of PWM to discuss and discern the future plans for our ministry life and work. To continue to promote the spiritual teachings, observances and practices of the Catholic faith. To continue to provide opportunities for intentional discipleship, leadership training and transformational experiences for young Catholics, both teens and adults. To continue to provide faith enriching opportunities for youth to help strengthen them in their Christian journey as they begin to mature. To expand our local outreach with a greater family focus. To maintain our Retreat Ministry whereby we are able to proclaim the Gospel in schools and parishes across Western Canada. Upon meeting with our Board of Directors on May 19, 2018, we are moving forward with a plan for the foreseeable future of PWM. We will no longer be engaging a team of missionaries each year to form and train in the three-fold mission of Community Living, Faith Formation and Outreach. We want to acknowledge and thank every missionary who has come to serve over the past six years in Pure Witness, offering a year (or more) of their lives, set-apart in missionary service to the Church. 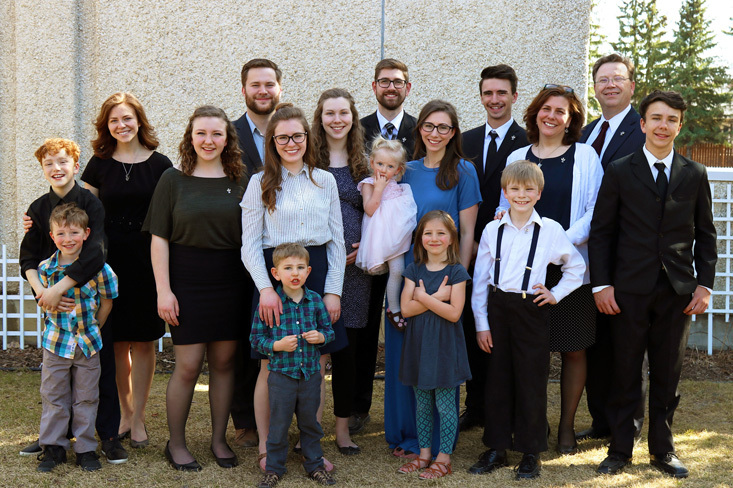 While a Team of Missionaries has been at the heart of our mission for the past seven years, it has become clear to us that we are being called forward to direct our energies toward younger Catholics, ages 15-20, to help them in an on-going journey of intentional discipleship and formation. Pure Witness Retreats:These will be put on by Matthew and Michael, who will travel across Western Canada proclaiming the Gospel in schools and parishes. YEP (Youth Evangelization Program): YEPs are a one-day retreat of faith formation, fellowship, and fun, with the availability of Mass and Confession. Family Events: We will be putting on family dances and daytime family events. Intentional Discipleship Programfor Catholic Youth: A unique and new program for youth ages 15-20 to experience a three-fold mission of Community (as they journey together in faith), Faith Formation and Outreach. They will help with putting on a Catholic Family Camp in the summer and other family events sponsored by PWM. Please keep watching for more information on this New Program for youth in the Saskatoon area, beginning October 2018! Catholic Family Camp 2019: It is our hope to coordinate a Catholic Family Camp in the summer of 2019, where we can facilitate a number of families to come live, eat, play and grow together in faith for one week, in order to help strengthen their identity as Catholics as they go back into the world. We are very excited about this new direction that we are taking as a ministry! While it is hard to let go of team ministry which is so very dear to our hearts – and for which we have all sacrificed to build for so long – we recognize the opportunity opening for us to serve the Body of Christ in a new way that will hopefully help to create transformational life experiences for young Catholics who might never be able to do a full year set-apart for ministry. We thank you all for your support and investment in the mission of Pure Witness Ministries, and we look forward to what God has in store for us in the future as we continue to work with you, our generous supporters, to proclaim and build the Kingdom of God! If you have any questions or feedback about these changes and this new model, we want to hear from you! Please feel free to contact us at any time to seek further clarification of the mission and vision of Pure Witness Ministries.